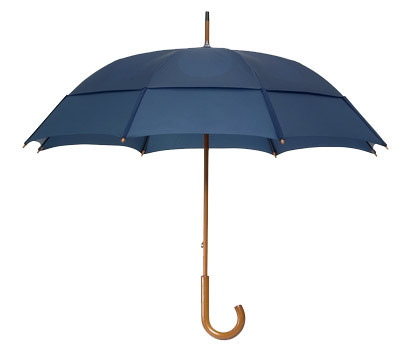 The GustBuster umbrella comes with a Limited Lifetime Warranty. This is how much we treasure the product and trust in the technical design and high quality materials. It also gives you extra peace of mind that the umbrella you are investing in will last a lifetime. Register your GustBuster with us at Richmond Agencies here in the UK within 30 days of purchase and your GustBuster will be protected for a lifetime. The warranty registration card is attached to your GustBuster umbrella. The GustBuster distinguishes itself not only by its many patented and exclusive features but by the unparalleled use of superior materials and craftsmanship in its making. Should your Gustbuster have any material or component defects, please return it to us with a £15 payment to cover postage and handling. Please include the UPC code (barcode) on the individual model hangtag and a proof of purchase. Your GustBuster will be repaired or replaced, at our discretion, with one of the same value, colour or design. Damage resulting from accidents, alterations, failure to follow care and drying instructions, misuse, abuse, fire, flood or acts of god will not be covered. To help keep your GustBuster in pristine condition, follow the below instructions in your day to day use of the umbrella. Always leave your GustBuster open to dry before rolling up and storing. Do not allow prolonged exposure to sunshine. Ultraviolet rays will harm the fabric of your Gustbuster. (Not applicable to the SunBlok umbrella). Carry your GustBuster facing into the wind. Be cautious in strong wind gusts to prevent possible damage. Do not bang the ferrule or tip end on the pavement. This will scratch the ferrule and could cause frame damage. To clean canopy material, wash with cold water and mild detergent, rinse and leave open to dry.